The following is a guest post on 8 ways to welcome guests for the holidays from regular contributor, Morgan from Morganize with Me. With the holidays upon us, my guess is that you may be opening up your home this holiday season. 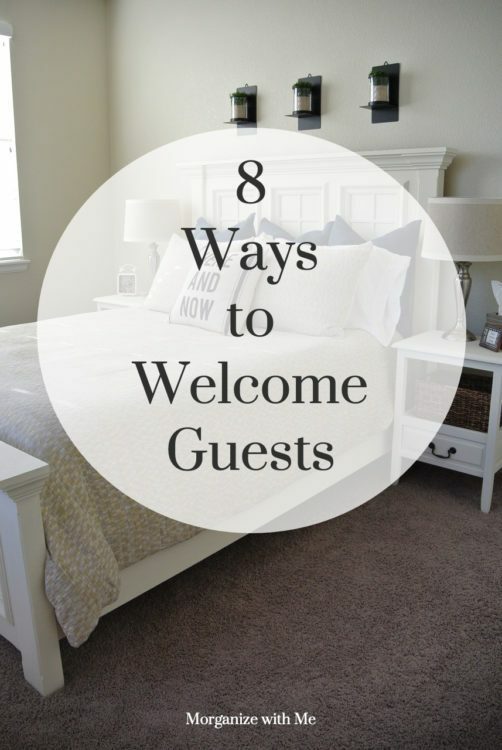 You may even be planning to have a guest or two coming to stay with you. 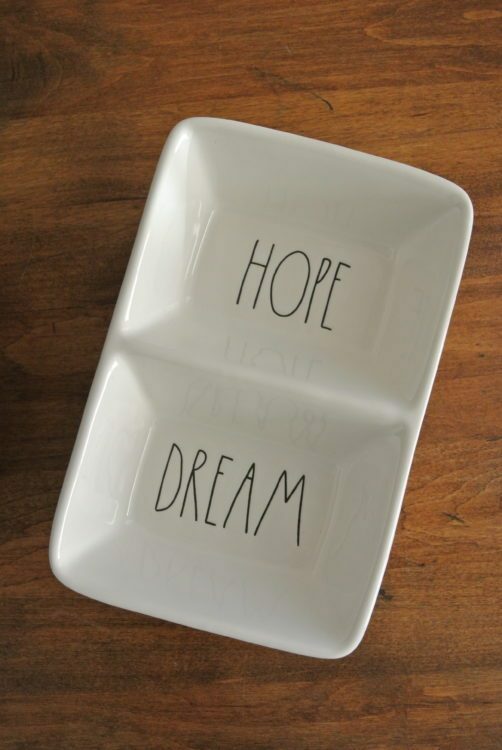 Hosting others can be a joy and a privilege but it can also feel like an added responsibility. 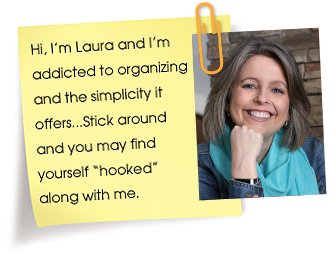 I want to share with you some of my simple tips for planning and hosting guests. With a few extra steps on the front end, your hospitality will feel more seamless and your guests will feel more at ease. 1) Try to create a separate space for your guests as much as possible. Whether this is an entire room or a section of a room, clearly identity the space as theirs. 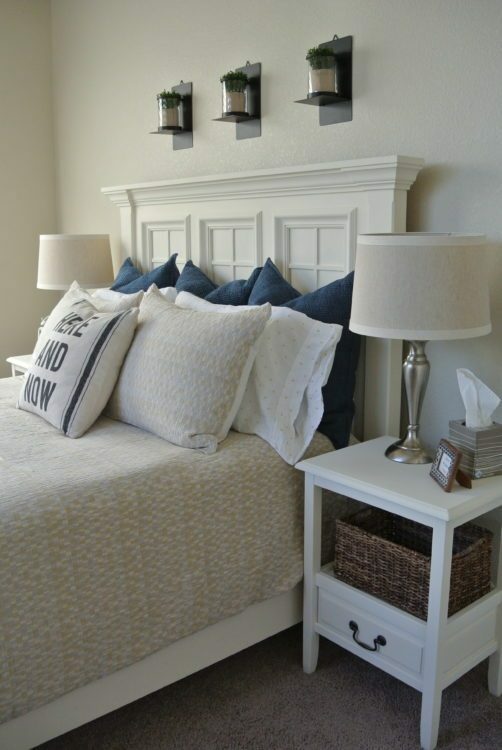 Make it inviting and welcoming by having their bed freshly made and lighting available. 2) Consider offering other items that may help with comfort, like more pillows, a fan, a heater, or blankets. 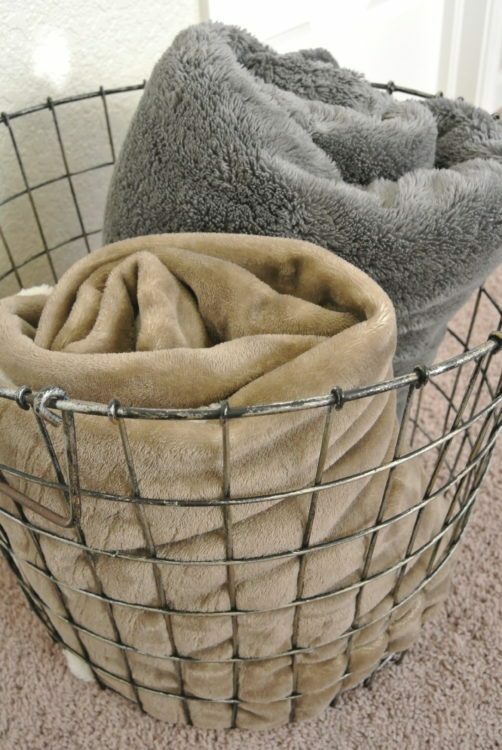 Any items that may help your guests to feel more relaxed in their space. As you can see I’m a big fan of pillows! 3) Provide magazines and books. This way your guests won’t need to ask if they would like to read or relax, there will already be things in place for them to do just that. 5) As well, adding small touches like a box of Kleenex or even snacks or drinks, are also great ways to make someone feel more at home. 7) Offer storage options for their belongings. This could be a bench for their suitcase to rest on, a dresser for unpacking and storing things, a closet for hanging up clothing, or even a dish or tray for their pocket items. 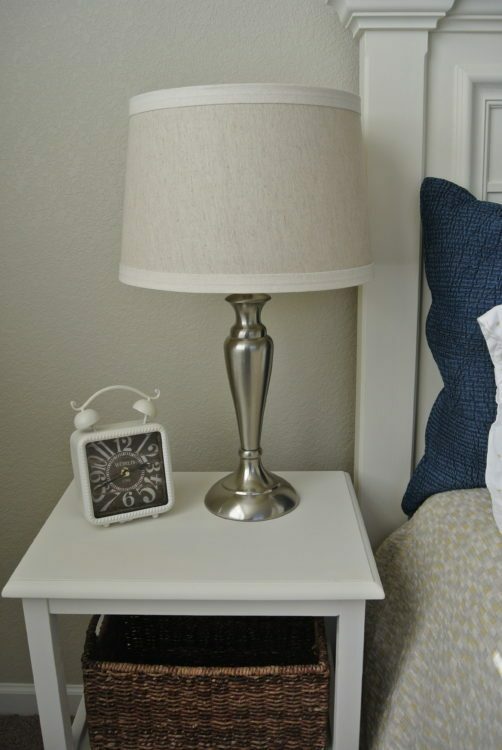 Having designated places for them put their things will help them to feel more settled. 8) Also you will want to think through any additional comforts or conveniences like a clock, a night reading light, or a phone charger, all of these are nice touches. It really is the little things that can make a difference! As you open your door, consider the different ways you can help to make your guests feel even more at home. It doesn’t matter the size of your space what matters is the steps you take to help your visitors to feel at ease. And, remember that you feeling at ease is the best place to start from. 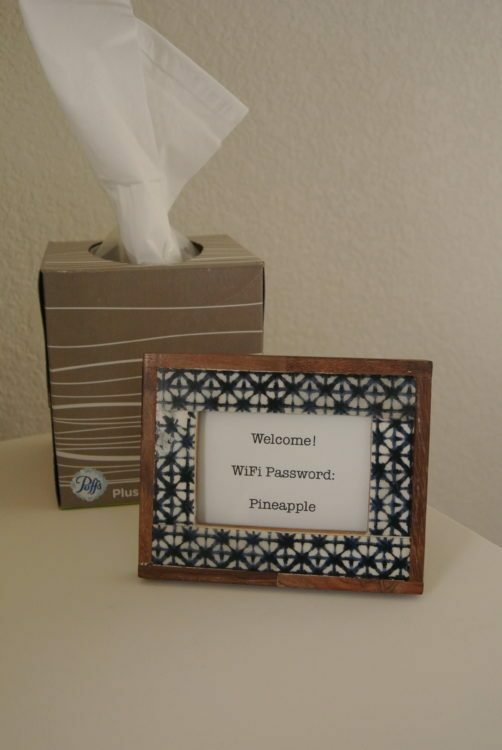 For more cozy guest room tips to welcome guests along with free guest room printables please visit Laura’s post HERE.